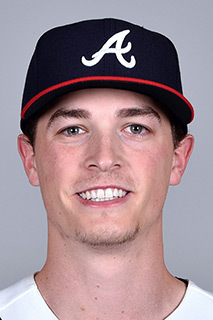 A native of Santa Monica, Calif., Max Fried dominated in high school. He wore No. 32 in honor of Sandy Koufax. He was named the 2011 So Cal Jewish Sports Hall of Fame Male High School Athlete of The Year. Fried was selected by San Diego as the No. 7 overall pick in the 2012 MLB Draft. By 2014, he was ranked as the Padres’ top pitching prospect. However, he was injured most of the year and eventually underwent Tommy John surgery. After the season, he was part of trade that sent him to Atlanta. He spent all of 2015 on the sidelines recovering from surgery. Fried returned in 2016. He was called up to the Braves on August 5, 2017. [He debuted on August 8, throwing two scoreless innings against the Philadelphia Phillies.